Nature’s Miracle Disinfectant Stain and Odor Remover disinfects as it cleans and works to eliminate urine and other strong pet odors. It is formulated with 100% biodegradable surfactant, leaving behind no sticky residue on carpets. 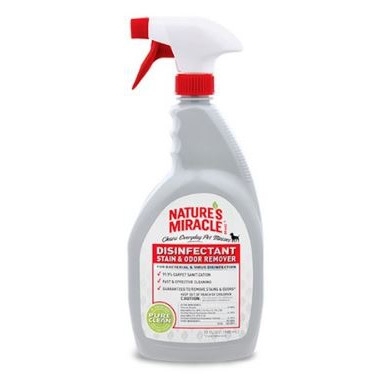 Nature’s Miracle Disinfectant Stain and Odor Remover is fragrance free and prevents mold and mildew on fabric. 32oz.